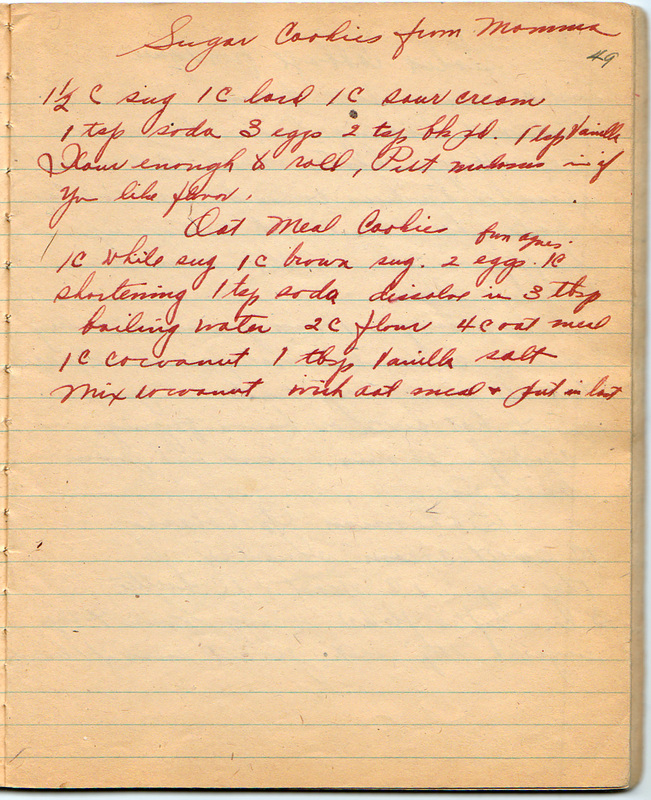 This recipe is from the 32nd page of the notebook; here’s the page in full (click to enlarge). Put molasses in if you like flavor. This is actually one of two versions from Mrs. Bailey. The other is further in the notebook with slightly different proportions.